For me spring time and gardening go hand in hand. 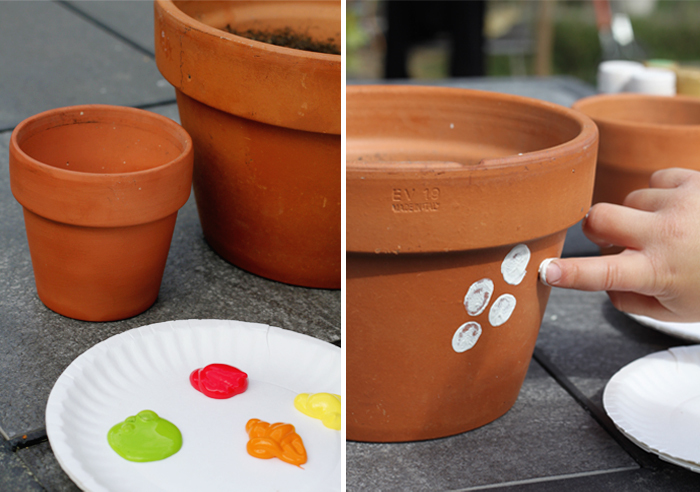 These fingerprint painted flower pots are a great way to craft and garden with kids. 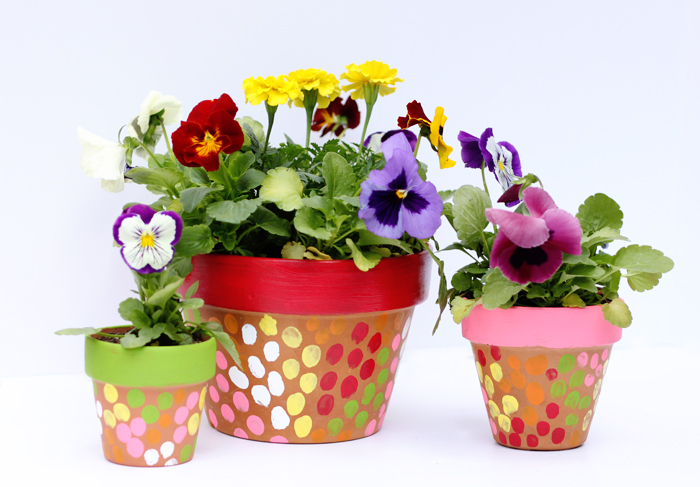 A fun and simple project with stunning results, painted flower pots make an awesome addition to the spring garden. Use them to liven up your Easter table or make them as the perfect Mother’s Day gifts for moms and grandmas alike! I was inspired by the amazing Aunt Peaches for this project. I love the idea of using fingerprints to paint, especially when little ones are involved. 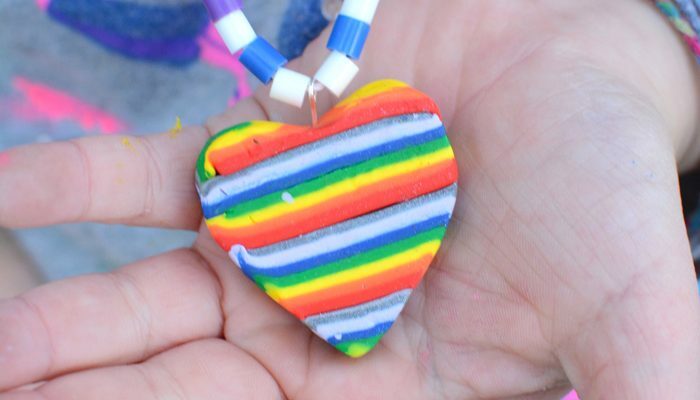 The end result makes an extra special keepsake because those little fingers grow so fast! 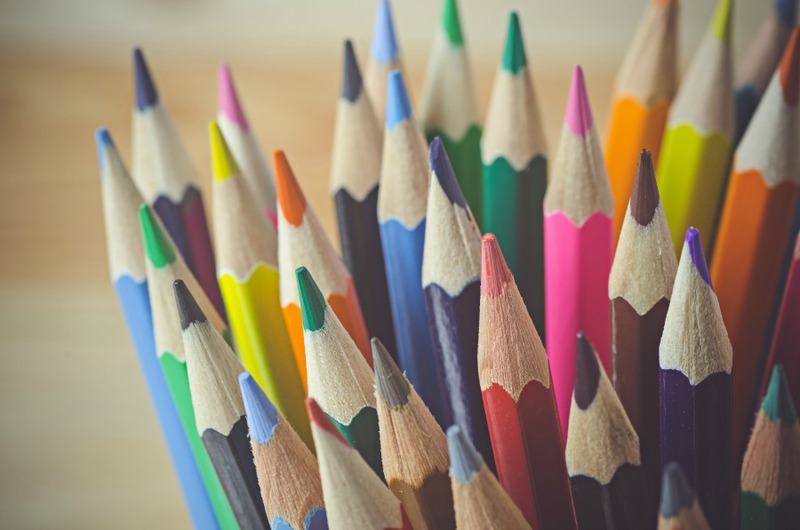 Plus, an art project that limits frustration and maximizes pretty results is totally my jam. 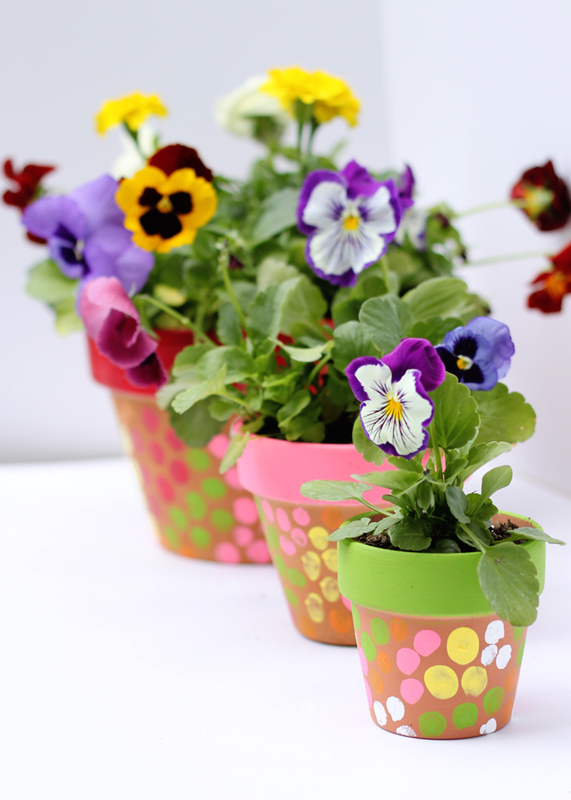 Very little kids can make these flower pots with help from a grown up and big kids can create them all on their own. Oh, and adults like making them too, or at least I did! Wash and dry the outside of your pots. If your pots are brand new you can skip this step. Squeeze out blobs of each of your paint choices onto a palate or paper plate. Start with one color, press the point of your finger in paint and then press it on the pot. Continue to dip your finger and press dots close to each other in groups. For the large pot we counted out seven dots in each group, five for the medium, and three for the small. Move to another section of the pot and repeat your dot groupings in the same color. Continue until you have three or four groups. Repeat steps 3 and 4 with other colors. If you have any gaps, go back and fill them in with whatever colors you’d like! 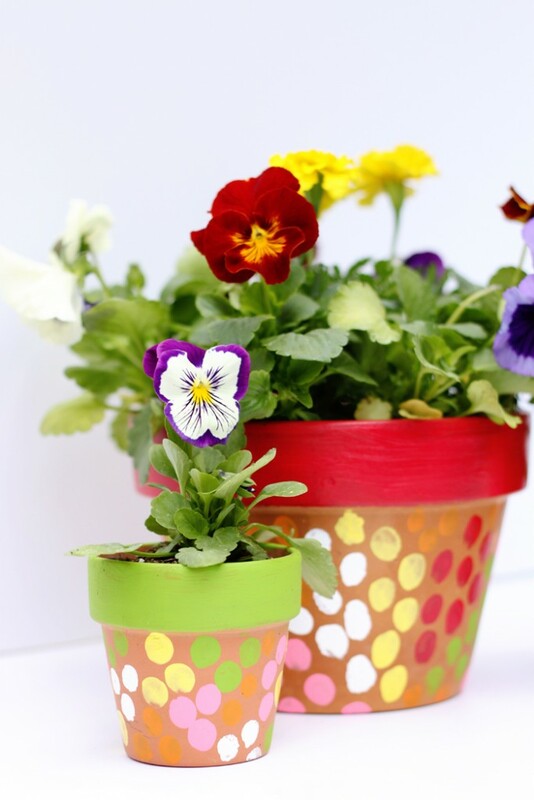 Use a paint brush to paint the rim of your pots a solid color. Fill your pots with soil and flowers! I hope you and your kids love making these as much as we did! Follow Carla // small + friendly’s board small and friendly on Pinterest.